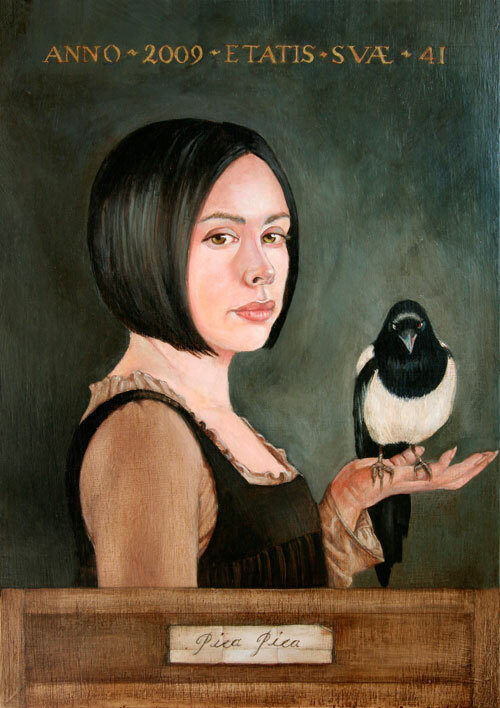 Self portrait with magpie. Magpies are one of my favourite birds. I identify with them as they reputedly collect shiny objects. I just collect anything weird and wonderful. Pica pica is latin for magpie.